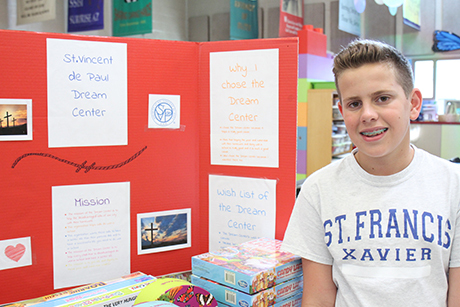 Once a year at St. Francis Xavier Elementary School in central Phoenix, students spend a portion of their day shopping in a festive and bustling marketplace located on campus. However, this marketplace does not occur during the holidays. And the vendors are not your typical vendors. This is the Arrupe Marketplace. 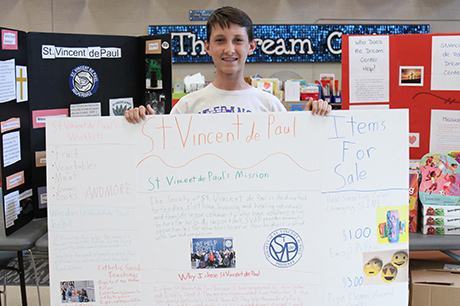 “The Arrupe Project is something the elementary school started seven or eight years ago for seventh and eighth graders. 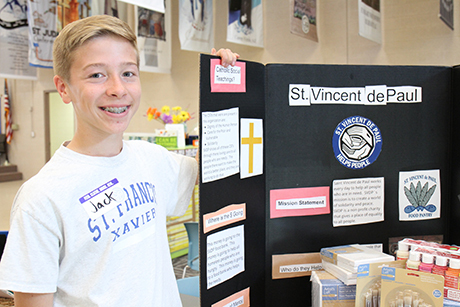 It’s a project that spans two and half semesters in their religion class,” says Carla Sorensen, a mother of participating student Jack Sorensen. 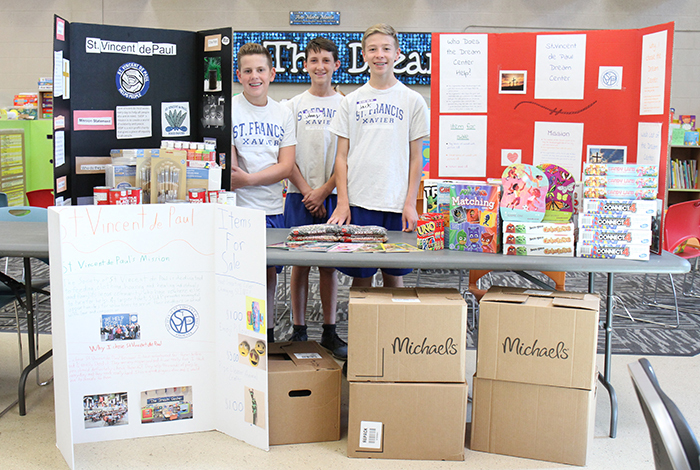 According to Carla, each year all the seventh grade students at St. Francis Xavier start the project by learning about Father Arrupe, who was a Jesuit priest that taught about the importance of sharing one’s talents by going out into the community to work with those in need. During the course of the project, each student is required to research local organizations, write a paper on their findings and is paired with an organization that is the best fit for them. 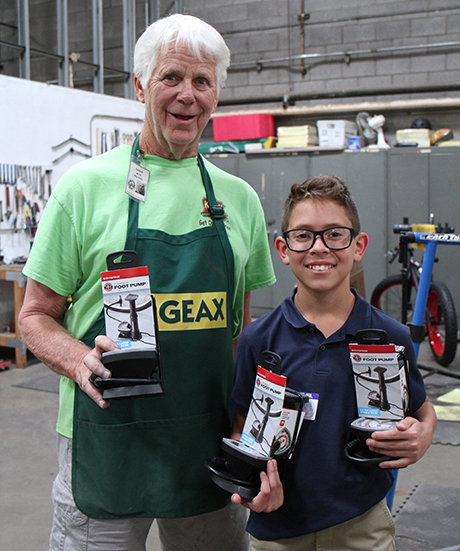 The students earn $10 through a chore, which is then matched by the school through grants. These start-up funds are used by the students to buy materials to create homemade items, or products, to sell in the marketplace.